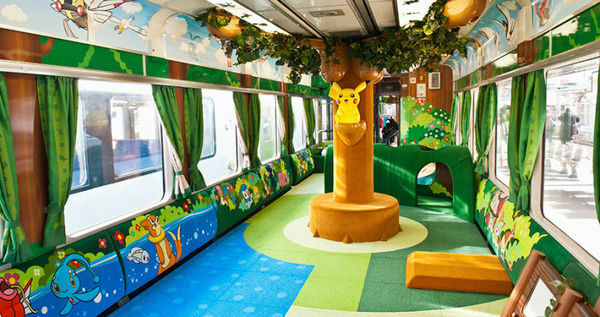 Japan finally made their 1st Pokemon themed train for people. 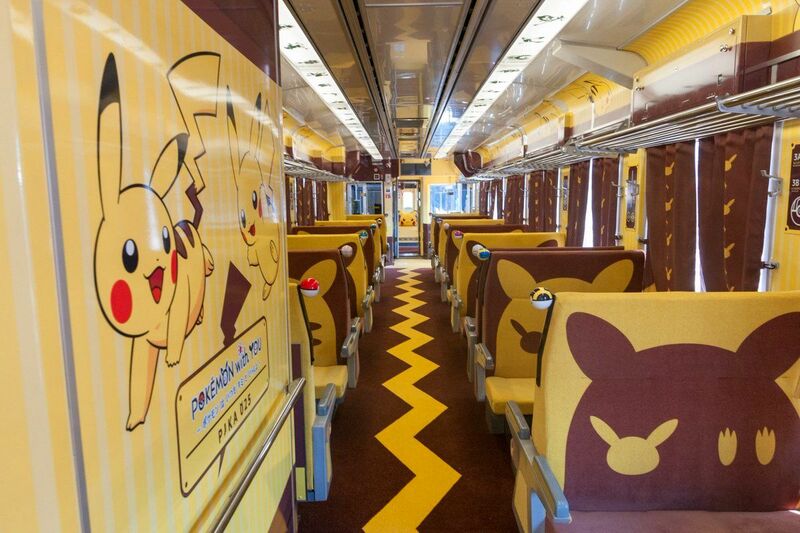 You can also check out the Tokyo’s latest let’s go Pikachu and let’s go Eevee-themed trains. If you are in Japan for the Pokemon Go Safari event then take a look on these trains. These trains will remain this way till August 30. It is a special kind of addition to the hospitality and fun of people to be a part of the event. The new theme train is like fire in the jungle which is why you should definitely watch the new trailer of let’s go Pikachu and let’s go Eevee. The train is so fun from the inside. It’s like you have entered into a video game in reality. The train itself is full of let’s go Pikachu and let’s go Eevee wallpapers. Their posters and sticks are all around. 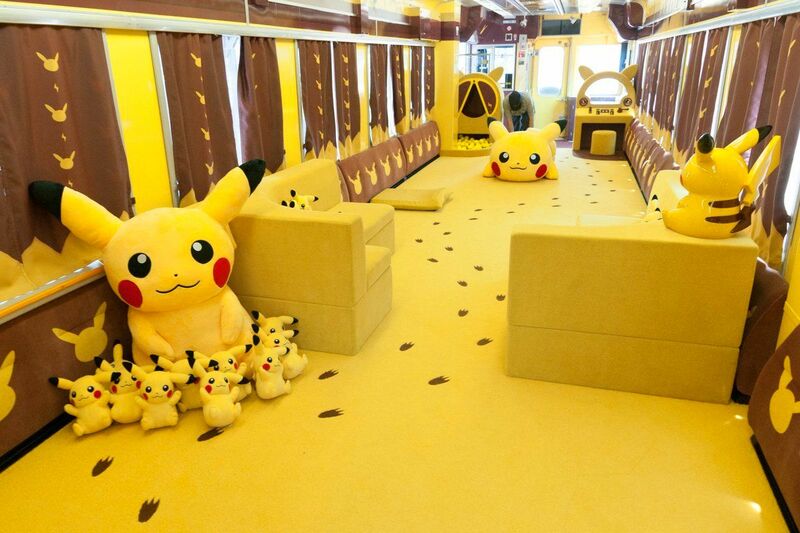 It’s just like you are traveling in a Pokemon train. It’s not only a surprise for the kids but also for the adults especially the ones who play video games. It’s like living in an imagination. The designers left with nothing, each and everything like the doors, seats, and windows are full of the new trailer images. The screens of the train play the trailer of let’s go Pikachu and let’s go Eevee. The best thing is the floor. It’s like walking into the video game. The images on the floor and the walls and their customized outfits and everything is from the gameplay and the trailer. You will see plenty of images of the gameplay with multiple characters and new features. Even they mounted the train ceiling with hand strap sports of Pokemon. It’s like riding the train to a new adventure of Pokemon series. Some images take us back to the memories of Pokemon Go. The trailer itself is amazing of the let’s go Pikachu and let’s go Eevee. The release date of this new gameplay is on November 16, 2018. The best part is that the gamers from all around the world will enjoy the Nintendo Switch. The game is currently available for preorder which comes with the new Poke ball plus accessories for the gaming fans. Stay tuned for more information on the biggest release of this new Pokemon gameplay.